The R&B singer visited the African nation earlier this year. 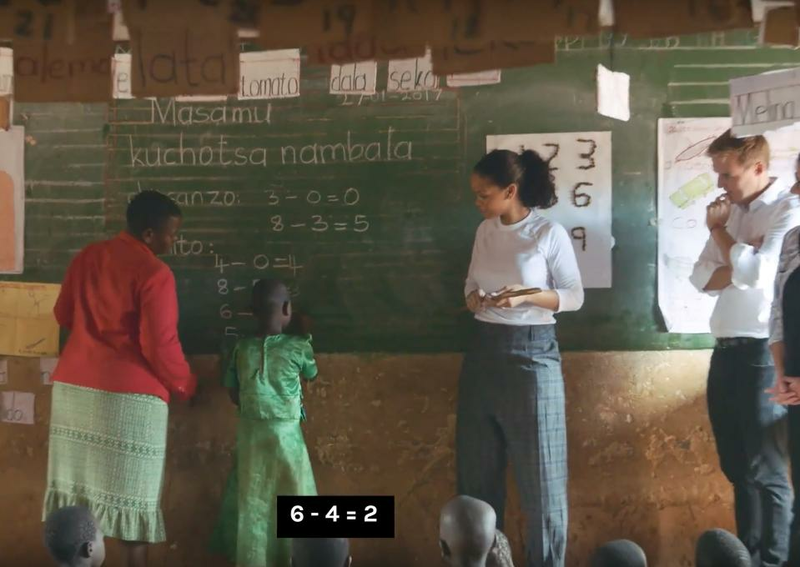 Rihanna teaches maths to students in rural Malawi in a new short documentary following her charity trip in January this year. Teaming up with Global Citizen and the Global Partnership for Education, RiRi visited the African nation to advocate for strong education systems for impoverished students as part of her Clara Lionel Foundation. The 'Needed Me' singer can be seen encouraging young students, helping them learn to solve math problems alongside former prime minister of Australia Julia Gillard. Later in the video, Rihanna can be seen cheering on an all-girls rugby team before and opening up about how the students learn at Muzu primary school. "I love that they learn in melody," says the R&B star. "That's like my favorite thing because kids, they adopt melody really, really quickly." "And so if you can use that as a learning tool, I think that's the most brilliant, brilliant thing." Rihanna shared another inspirational video on her Instagram account, encouraging fans to support the new documentary and donate. The Global Partnership for Educational is aiming to raise $3.1 billion in efforts to bring quality education to over 870 million children in 89 countries between 2018 and 2020. In honour of her extensive philanthropic work, Rihanna was awarded the Harvard Humanitarian Of The Year award earlier this year.